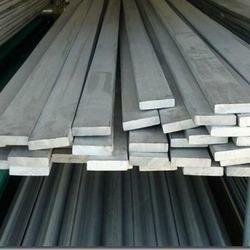 Pioneers in the industry, we offer ms flat bars and ms flat from India. MS Flat Bars offered comes in thickness options of 1.5mm to 14mm as well as width choices of 10mm to 1000mms. Here, our expertise lies in offering these bars as per industry standards like AISI, ASTM, BS, DIN, JIS and others. Some of its features include available dimension of 1.5mm to 14mm, lengths options of up to 12m, tolerance as per standards or as required by customers, suitable for applications involving bridge, metal structures, shipbuilding industry; high mechanical strength, superior hardness, resistance to abrasion and fatigue among others. We are the leading trader and supplier of MS Flat. 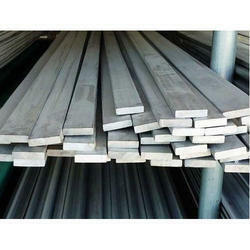 The mild steel flat offered by us are widely appreciated for its quality, tensile strength, reliability and durability. Avail customization of these product at industry leading prices. They are offered in wide variety of sizes, dimensions, and finishes. These flats are rolled in low temperature which imparts higher strength to the structures.